Chef Ramanand Bhatt’s culinary journey started when he was 16 years old in New Delhi, India cooking at a roadside cafe. At age 25 he continued cooking in Spain at a prestigious Indian restaurant. Returning to India, he worked for the Air India flight kitchen until he moved to the USA. 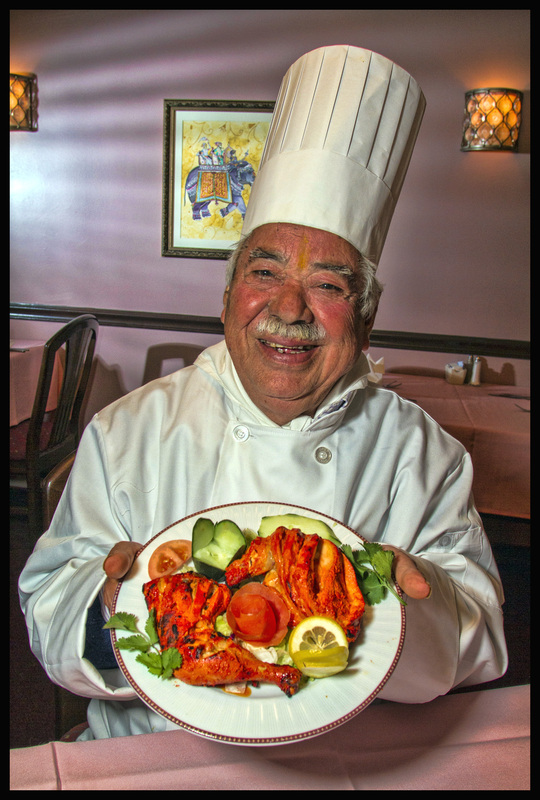 Chef Bhatt and his sons, Naresh & Gopal Bhatt opened Dishes of India in 1997. Their focus is traditional, authentic Indian cuisine from the heart using only the freshest ingredients and best spices. Chef Bhatt says “The secret to our success is the extraordinary gift of happiness our family has received from God. That flows out of all we do.” As a true family restaurant, a few days of week you will also find Naresh’s son and daughter working alongside their Dad, Uncle and Grandfather! At the age of 14, I started cooking. I belonged to a poor farmer family with 7 kids and being the eldest in the family, I helped with daily house chores and one of the common everyday chores was helping my mom with cooking. She was the best cook and I loved her cooking. I was amazed at the kind of magic she could produce with only limited items in her hand. I decided to master that magic and I am sure where ever she is, she is proud watching a great magician working in the kitchen from above. Who has been the biggest inspiration for your career? My mother by far. I watched her feed us the best meals she could make from whatever was available to her at that time. It is not the ingredients, it is the magic one must to do with them to produce a great dish. Murg Makhani, aka butter chicken, is a dish that requires high proficiency and delicate mixtures of different spices. If not done precisely right, the guests will know right away. So I pay attention to what my guests have to say about it. What do you do to insure that the food going out to your customers is of the highest quality? I always make sure we are getting the best quality of raw materials from our suppliers. I focus on consistency as lots of my guests have been coming to Dishes of India since they were little children and all of them are quite familiar with our food. Any slight variation will set off the alarm. My staff is well trained and I am constantly looking over. I love to have my son prepare a meal for me, he assists me at the kitchen of Dishes of India. I think he will keep the flame burning for quite some time after I am gone. I am fond of spicy food, anything that has lots of hot spices will make my day. (L to R – Murg Karahi, Vegetable Biryani, Murg Tikka Tandori, Mango Lassi, Naan & Basmati Rice).